So refreshing to be with a hosting company that actually takes pride in providing customer service and has the knowledge to sleuth and fix what isn’t working. It’s a pretty big deal to switch hosts – sort of like going to the dentist when you know you need a root canal. I just got exhausted being told ‘it’s your app that’s causing the problem’. Even it is could you at least point me in the right direction? We’ve got this fabulous fabric from Timeless Treasures back in stock – it just seems so appropriate this morning! 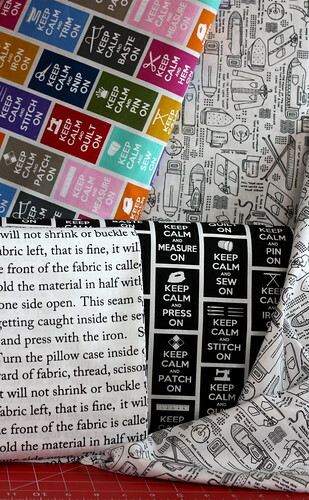 So… Keep Calm and Sew On!